We need to get young people registered now. 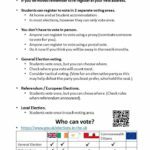 If you have this leaflet printed out it will help. The file is on the toolbox here: https://sites.google.com/view/peltb/campaigns/voter-registration.